Well if you read our blog or follow us on social media at all you know that we are BFFs with Kristen Waver. 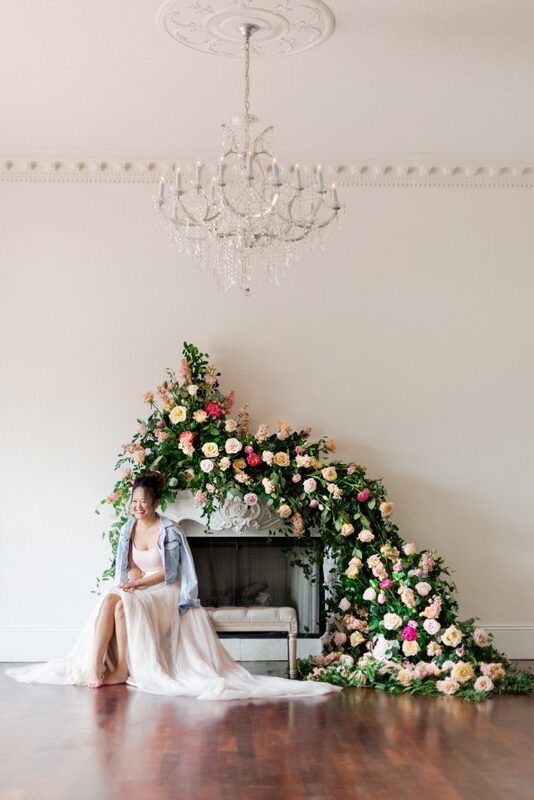 When she asked if we wanted to be involved in another styled shoot with her the answer was, of course, YES! 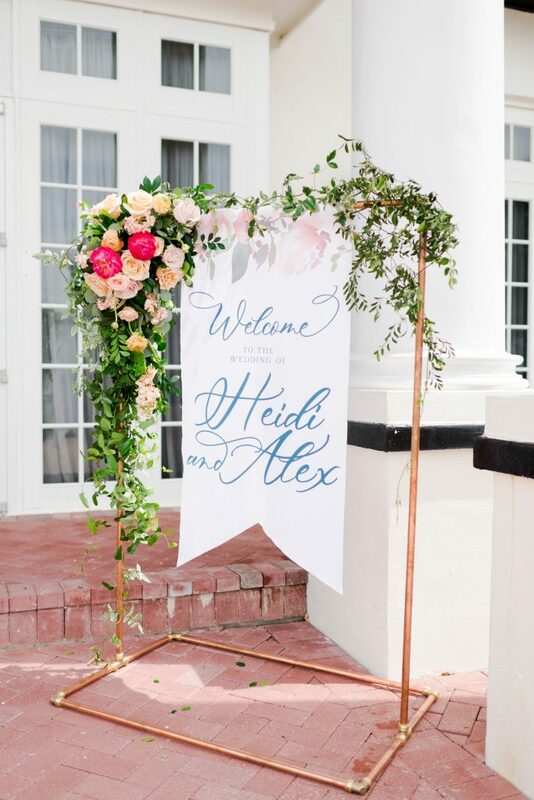 Especially a Charleston Wedding Inspiration! 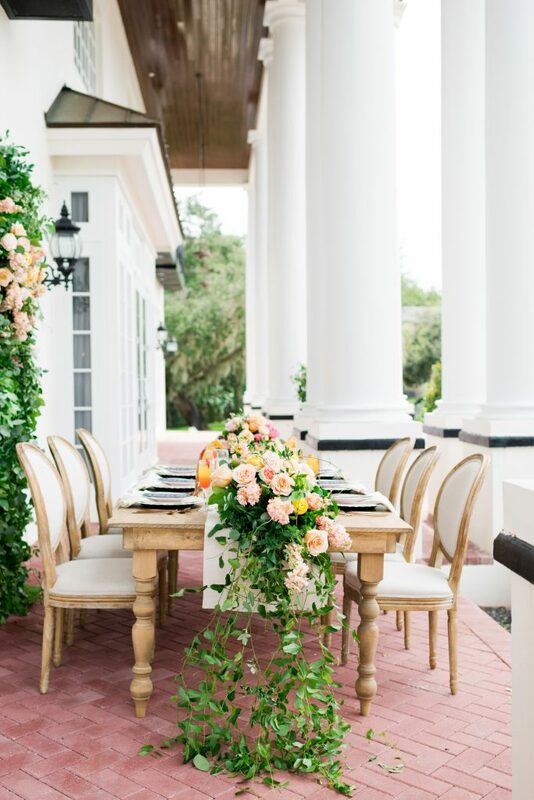 She wanted a southern wedding feel with bright peach colors thrown in. We took this inspiration and ran with it. Luxmore Grande Estate was the perfect backdrop to make us all feel like we had been transported to Charleston. Even the heat! RW Rentals had these new sand stained tables that we thought would compliment the venue and colors. 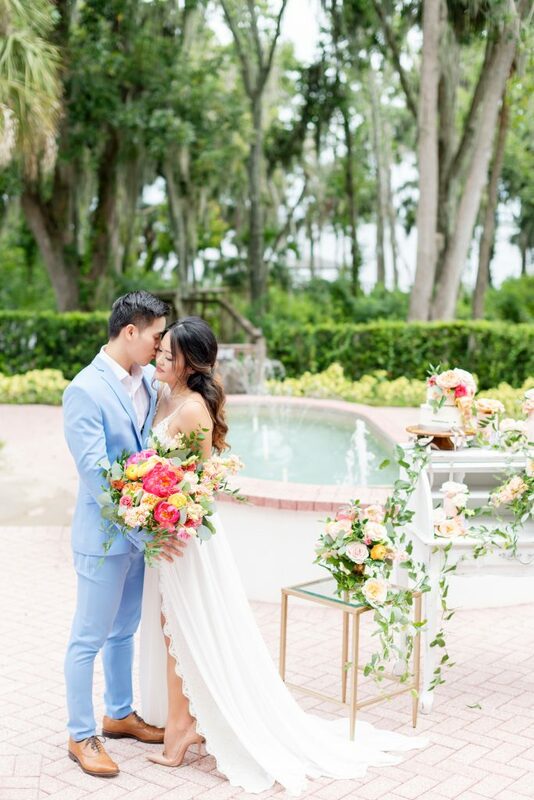 We paired them with their Sand Louis Chairs and added pops of color with the floral and Peach Bellinis. 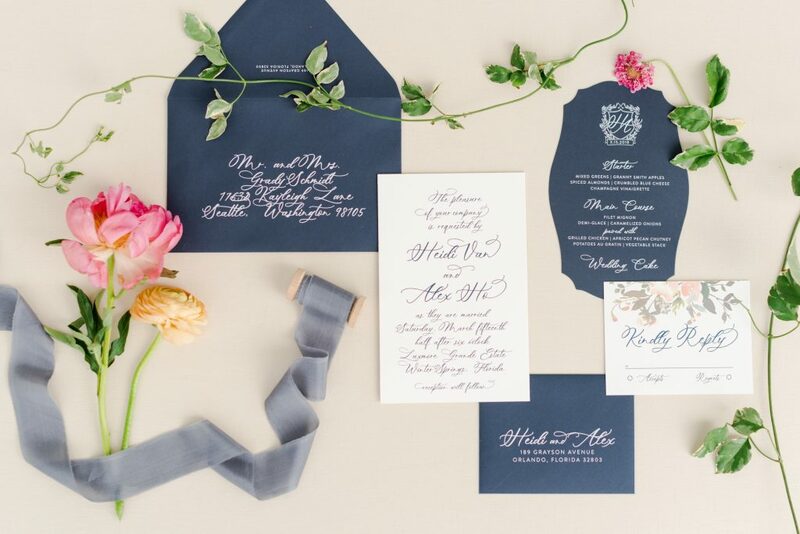 I worked closely with Denise from Dogwood Blossoms Stationary to make the stationary and signage unique. One thing I love about Denise is when we sit down together we immediately say, “Ok, what can we do that is different.” We decided on copper pieces to hold the signage. Denise suggested that we do fabric banners hanging from the cooper stands…….How amazing are these pieces? She mirrored this look with the seating chart and even the table number. 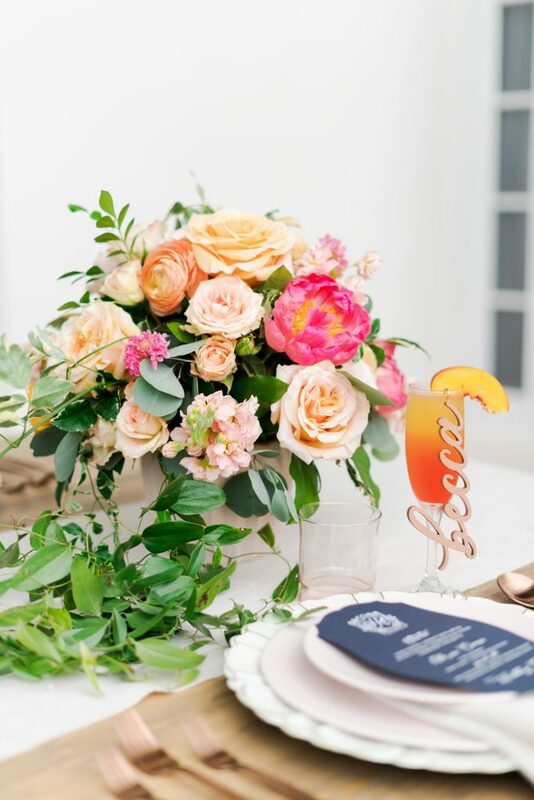 My favorite were the place cards….wooden cut names that hung from the peach bellinis. I only wish she would have done my name so I could have taken it home with me. Every vendor involved in this shoot was AMAZING. Dishie Rentals brought tableware that we worked in with the napkins and floral that were perfect. Seltzer Video made the coolest video! Check it out above. 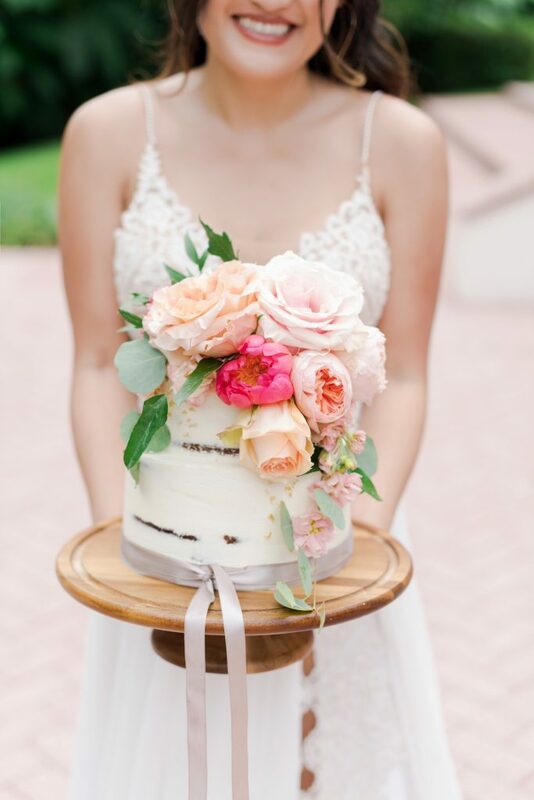 We asked the girls at One and Only Bridal Bouquet to be involved. Kristen had picked out a dress for the shoot and on the day of they ended up deciding on an entirely different dress. 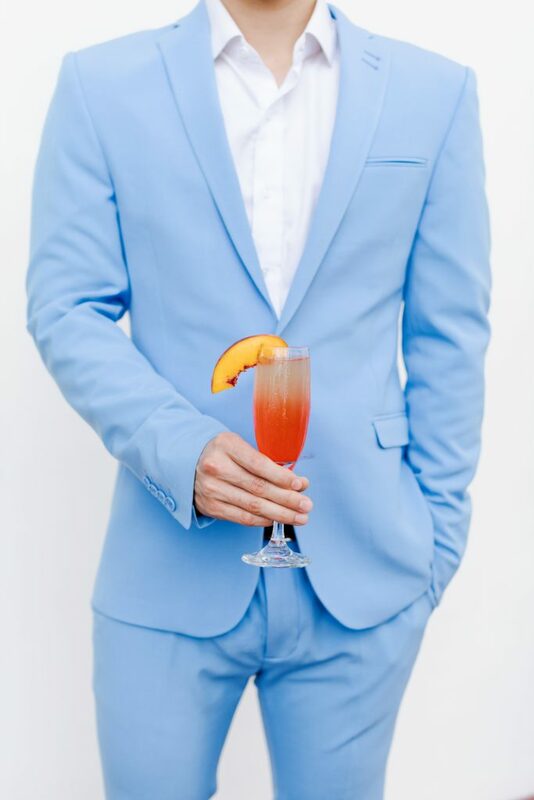 We especially loved it paired with the jean jacket. 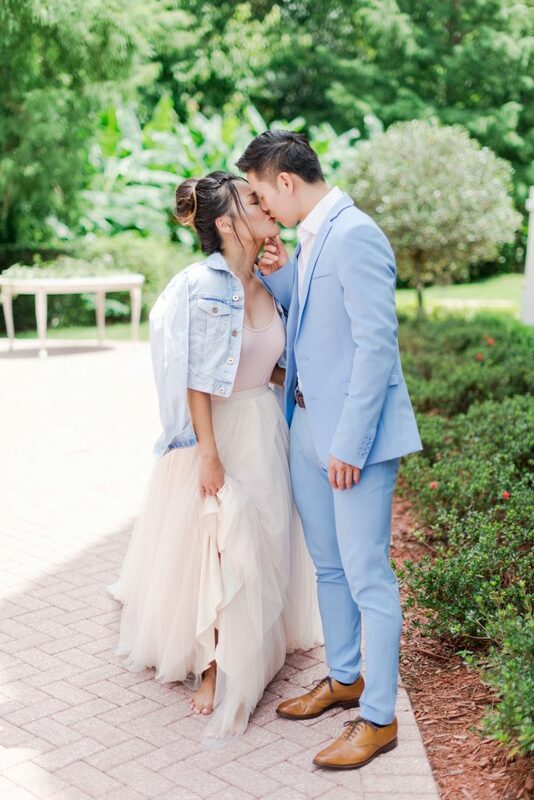 Can we also talk about our amazing real-life couple? They were beautiful on the inside and out. They were so sweet together. 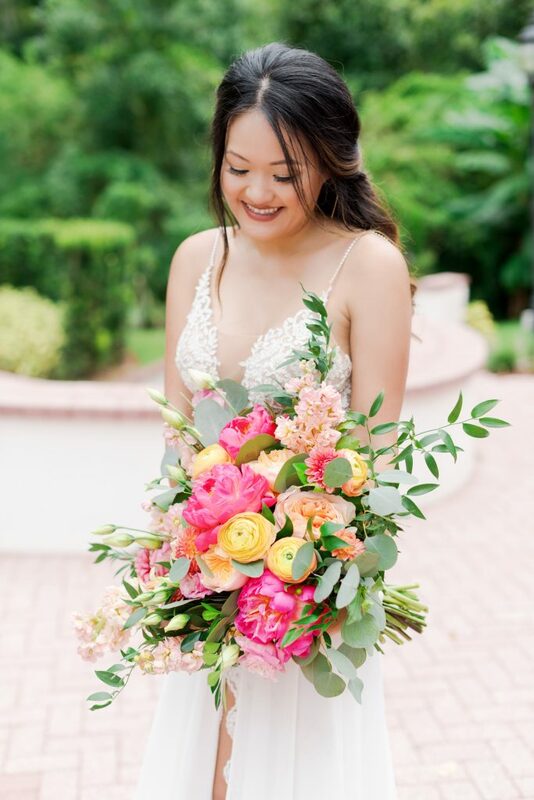 Jasmine from Bride Be Beautiful made our bride look classically beautiful. She worked her magic to make her hair and makeup last all day even though it was so HOT!! 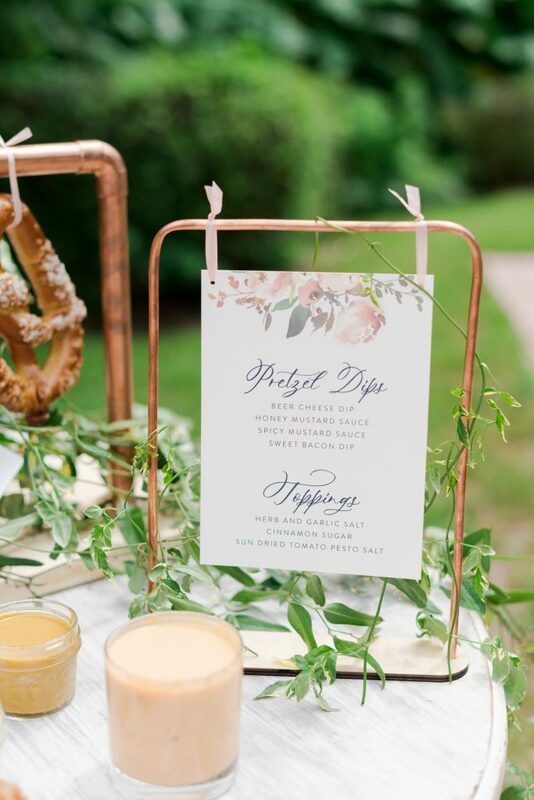 Big City Catering made us some bomb pretzels and dips to go along with it and completed our table decor with the peach bellinis. Bakers Cottage Cakes made the cutest cake along with some minis to put around. Best part we got to eat the cake after……YUM!!!! Last but certainly not least the florals!!! You guys Flowers by Lesley blew me away! I sent her a few inspiration pictures and she showed me just how talented she really is.